John, a 16 year old who reads at a second grade level, feels embarrassed to be seen with an elementary text and reacts by throwing his reading book across the room and using inappropriate language to inform the teacher that he does not intend to complete his homework. Reggie, an eight year old who reads Stephen King novels for recreation, finds her reading assignments boring and, therefore, shoves her book and workbook to the floor when the teacher comments on her lack of progress. James, a 12 year old who has problems paying attention, is so over stimulated by what she sees out of the window and hears in the nearby reading group, she slams her text shut and loudly declares that she cannot work. A conclusion gleaned from these examples may be that, although the topography (what the behavior looks like or sounds like) of the behaviors may be similar, in each case, the "causes," or functions, of the behaviors are very different. Thus, focusing only on the topography will usually yield little information about effective interventions. Identifying the underlying cause(s) of a child’s behavior, however, or, more specifically, what the child "gets" or "avoids" through the behavior, can provide the INDIVIDUALIZED EDUCATION PROGRAM team with the diagnostic information necessary to develop proactive instructional strategies (such as positive behavioral interventions and supports) that are crafted to address behaviors that interfere with academic instruction. To illustrate this point, again consider the acting-out behaviors previously described. Reactive procedures, such as suspending each child as a punishment for acting-out, will only address the symptoms of the problem, and will not eliminate the embarrassment John feels, Reggie’s boredom, the frustration that Michael is experiencing, or James’s overstimulation. Therefore, each of these behaviors is likely to occur again, regardless of punishment, unless the underlying causes are addressed. Functional behavioral assessment is an approach that incorporates a variety of techniques and strategies to diagnose the causes and to identify likely interventions intended to address problem behaviors. In other words, functional behavioral assessment looks beyond the overt topography of the behavior, and focuses, instead, upon identifying biological, social, affective, and environmental factors that initiate, sustain, or end the behavior in question. This approach is important because it leads the observer beyond the "symptom" (the behavior) to the child’s underlying motivation to escape, "avoid," or "get" something (which is, to the functional analyst, the root of all behavior). Research and experience has demonstrated that behavior intervention plans stemming from the knowledge of why a child misbehaves (i.e., based on a functional behavioral assessment) are extremely useful in addressing a wide range of problems. The functions of behavior are not usually considered inappropriate. Rather, it is the behavior itself that is judged appropriate or inappropriate. For example, getting high grades and acting-out may serve the same function (i.e., getting attention from adults), yet, the behaviors that lead to good grades are judged to be more appropriate than those that make up acting-out behavior. For example, if the INDIVIDUALIZED EDUCATION PROGRAM team determines through a functional behavioral assessment that a child is seeking attention by acting-out, they can develop a plan to teach the child more appropriate ways to gain attention, thereby filling the child’s need for attention with an alternative behavior that serves the same function as the inappropriate behavior. By incorporating functional behavioral assessment into the INDIVIDUALIZED EDUCATION PROGRAM process, the INDIVIDUALIZED EDUCATION PROGRAM team can gain the information needed to develop a plan or include strategies in the INDIVIDUALIZED EDUCATION PROGRAM, and INDIVIDUALIZED EDUCATION PROGRAM team members can develop a plan that teaches and supports replacement behaviors, which serve the same function as the problem behavior, itself (e.g., teaching Michael to calmly tell the teacher when he feels frustrated, and to ask for assistance when he finds a task too difficult to accomplish). At the same time, strategies may be developed to decrease or even eliminate opportunities for the child to engage in behavior that hinders positive academic results (e.g., making sure that Michael’s assignments are at his instructional level). Identifying the underlying causes of behavior may take many forms; and, while the Amendments to IDEA advice a functional behavioral assessment approach (which could determine specific contributors to behavior); they do not require or suggest specific techniques or strategies to use when assessing that behavior. While there are a variety of techniques available to conduct a functional behavioral assessment, the first step in the process is to define the behavior in concrete terms. In the following section we will discuss techniques to define behavior. • Jonnie is aggressive. / Jonnie hits other children during recess when she does not get her way. • Craig is disruptive. / Craig makes irrelevant and inappropriate comments during class discussion. • Sammy is hyperactive. / Sammy leaves her assigned area without permission, completes only small portions of her independent work, and blurts out answers without raising her hand. It may be necessary to carefully and objectively observe the child’s behavior in different settings and during different types of activities, and to conduct interviews with other school staff and caregivers, in order to pinpoint the specific characteristics of the behavior. Once the problem behavior has been defined concretely, the team can begin to devise a plan for conducting a functional behavioral assessment to determine functions of the behavior. The following discussion can be used to guide teams in choosing the most effective techniques to determine the likely causes of behavior. The use of a variety of assessment techniques will lead teams to better understand child behavior. Each technique can, in effect, bring the team closer to developing a workable intervention plan. A well developed assessment plan and a properly executed functional behavioral assessment should identify the contextual factors that contribute to behavior. Determining the specific contextual factors for a behavior is accomplished by collecting information on the various conditions under which a child is most and least likely to be a successful learner. That information collected both indirectly and directly, allows school personnel to predict the circumstances under which the problem behavior is likely and not likely to occur. Multiple sources and methods are used for this kind of assessment, as a single source of information generally does not produce sufficiently accurate information, especially if the problem behavior serves several functions that vary according to circumstance (e.g., making inappropriate comments during lectures may serve to get peer attention in some instances, while in other situations it may serve to avoid the possibility of being called on by the teacher). It is important to understand, though, that contextual factors are more than the sum of observable behaviors, and include certain affective and cognitive behaviors, as well. In other words, the trigger, or antecedent for the behavior, may not be something that anyone else can directly observe, and, therefore, must be identified using indirect measures. For instance, if the child acts out when given a worksheet, it may not be the worksheet that caused the acting-out, but the fact that the child does not know what is required and thus anticipates failure or ridicule. Information of this type may be gleaned through a discussion with the child. Since problem behavior stems from a variety of causes, it is best to examine the behavior from as many different angles as possible. Teams, for instance, should consider what the "pay-off" for engaging in either inappropriate or appropriate behavior is, or what the child "escapes," "avoids," or "gets" by engaging in the behavior. This process should identify workable techniques for developing and conducting functional behavioral assessments and developing behavior interventions. When considering problem behaviors, teams might ask the following questions. Is the problem behavior linked to a skill deficit? • Does the child have the skills necessary to perform expected, new behaviors? • Does the child realize that he or she is engaging in unacceptable behavior, or has that behavior simply become a "habit"? 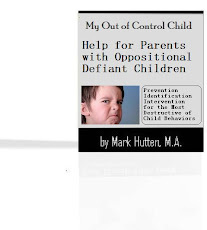 • Does the child understand the behavioral expectations for the situation? • Is it within the child’s power to control the behavior, or does he or she need support? Does the child have the skill, but, for some reason, not the desire to modify his or her behavior? • Does the child find any value in engaging in appropriate behavior? • Is it possible that the child is uncertain about the appropriateness of the behavior (e.g., it is appropriate to clap loudly and yell during sporting events, yet these behaviors are often inappropriate when playing academic games in the classroom)? • Is the behavior problem associated with certain social or environmental conditions? o Is the child attempting to avoid a "low-interest" or demanding task? o What current rules, routines, or expectations does the child consider irrelevant? Addressing such questions will assist the INDIVIDUALIZED EDUCATION PROGRAM team in determining the necessary components of the assessment plan, and ultimately will lead to more effective behavior intervention plans. Some techniques that could be considered when developing a functional behavioral assessment plan are discussed in the following section. • Are there any settings where the behavior does not occur? • Can you think of a more acceptable behavior that might replace this behavior? • In what settings do you observe the behavior? • What activities or interactions take place just prior to the behavior? • What usually happens immediately after the behavior? • Who is present when the behavior occurs? • Can you tell me how Mr. Smith expects you to contribute to class lectures? • How did the assignment make you feel? • What were you thinking just before you threw the textbook? • When you have a "temper tantrum" in class, what usually happens afterward? Commercially available student questionnaires, motivational scales, and checklists can also be used to structure indirect assessments of behavior. The district’s school psychologist or other qualified personnel can be a valuable source of information regarding the feasibility of using these instruments. The observer also may choose to use a matrix or scatter plot to chart the relationship between specific instructional variables and student responses. (See Appendix B for examples). These techniques also will be useful in identifying possible environmental factors (e.g., seating arrangements), activities (e.g., independent work), or temporal factors (e.g., mornings) that may influence the behavior. These tools can be developed specifically to address the type of variable in question, and can be customized to analyze specific behaviors and situations (e.g., increments of 5 minutes, 30 minutes, 1 hour, or even a few days). Regardless of the tool, observations that occur consistently across time and situations, and that reflect both quantitative and qualitative measures of the behavior in question, are recommended. Data analysis. Once the team is satisfied that enough data have been collected, the next step is to compare and analyze the information. This analysis will help the team to determine whether or not there are any patterns associated with the behavior (e.g., whenever Jane does not get her way, she reacts by hitting someone). If patterns cannot be determined, the team should review and revise (as necessary) the functional behavioral assessment plan to identify other methods for assessing behavior. Hypothesis statement. Drawing upon information that emerges from the analysis, school personnel can establish a hypothesis regarding the function of the behaviors in question. This hypothesis predicts the general conditions under which the behavior is most and least likely to occur (antecedents), as well as the probable consequences that serve to maintain it. For instance, should a teacher report that Lucia calls out during instruction, a functional behavioral assessment might reveal the function of the behavior is to gain attention (e.g., verbal approval of classmates), avoid instruction (e.g., difficult assignment), seek excitement (i.e., external stimulation), or both to gain attention and avoid a low-interest subject. Only when the relevance of the behavior is known is it possible to speculate the true function of the behavior and establish an individual behavior intervention plan. In other words, before any plan is set in motion, the team needs to formulate a plausible explanation (hypothesis) for the child’s behavior. It is then desirable to manipulate various conditions to verify the assumptions made by the team regarding the function of the behavior. For instance, the team working with Lucia in the example above may hypothesize that during class discussions, Lucia calls out to get peer attention. Thus, the teacher might make accommodations in the environment to ensure that Lucia gets the peer attention she seeks as a consequence of appropriate, rather than inappropriate behaviors. If this manipulation changes Lucia’s behavior, the team can assume their hypothesis was correct; if Lucia’s behavior remains unchanged following the environmental manipulation, a new hypothesis needs to be formulated using data collected during the functional behavioral assessment. Many products are available commercially to help INDIVIDUALIZED EDUCATION PROGRAM teams to assess behaviors in order to determine their function. Sources for more information about techniques, strategies, and tools for assessing behavior are presented in the last section of this discussion. Persons responsible for conducting the functional behavioral assessment will vary from state to state and possibly from district to district. Some behavioral assessment procedures, such as standardized tests, may require an individual with specific training (e.g., behavior specialist or school psychologist). With specialized training, experience, and support, however, many components of the assessment can be conducted by other individuals, such as special or general education educators, counselors, and administrators. Again, it is important to note that interventions should not be based upon one assessment measure, alone, or upon data collected by only one observer. After collecting data on a child’s behavior, and after developing a hypothesis of the likely function of that behavior, a team develops (or revises) the child’s behavior intervention plan or strategies in the INDIVIDUALIZED EDUCATION PROGRAM. These may include positive strategies, program or curricular modifications, and supplementary aids and supports required to address the disruptive behaviors in question. It is helpful to use the data collected during the functional behavioral assessment to develop the plan and to determine the discrepancy between the youngster’s actual and expected behavior. The input of the general education teacher, as appropriate (i.e., if the child is, or may be participating in the regular education environment), is especially crucial at this point. He or she will be able to relay to the team not only his or her behavioral expectations, but also valuable information about how the existing classroom environment and/or general education curriculum can be modified to support the child. Intervention plans and strategies emphasizing skills children need in order to behave in a more appropriate manner, or plans providing motivation to conform to required standards, will be more effective than plans that simply serve to control behavior. Interventions based upon control often fail to generalize (i.e., continue to be used for long periods of time, in many settings, and in a variety of situations) — and many times they serve only to suppress behavior — resulting in a youngster manifesting unaddressed needs in alternative, inappropriate ways. Positive plans for behavioral intervention, on the other hand, will address both the source of the problem and the problem itself. The following section describes some ideas INDIVIDUALIZED EDUCATION PROGRAM teams may consider when developing behavior intervention plans and strategies. An assessment might indicate the child has a skill deficit, and does not know how to perform desired skills. The functional behavioral assessment may show that, although ineffective, the youngster may engage in the inappropriate behavior to escape or avoid a situation: (1) for which he or she lacks the appropriate skills; or (2) because she or he lacks appropriate, alternative skills and truly believes this behavior is effective in getting what he or she wants or needs. For example, a youngster may engage in physically violent behavior because he or she believes violence is necessary to efficiently end the confrontational situation, and may believe that these behaviors will effectively accomplish his or her goals. However, when taught to use appropriate problem-solving techniques, the child will be more likely to approach potentially volatile situations in a nonviolent manner. If this is the case, the intervention may address that deficit by including, within the larger plan, a description of how to teach the problem-solving skills needed to support the youngster. • Goal: During classroom lectures, Andrew will make only relevant comments and ask only relevant questions in 80 percent of the opportunities. • Objectives: Given a 50 minute, large group (i.e., more than 20 students) classroom lecture, Andrew will ask one appropriate question and make two relevant comments on each of 3 consecutive school days. • Andrew will identify and use active listening skills in situations other than class lectures. If the child does not realize that he or she is engaging in the behavior, (i.e., the child is reacting out of habit), the team may devise a plan to cue the youngster when she or he is so engaged. Such a cue could be private and understood only by the teacher and the child. If Martha, for instance, impulsively talks out during Ms. Bader’s class discussions, Ms. Bader and Martha may agree that Ms. Bader will look directly at Martha and slightly move her right hand in an upward motion to remind Martha to raise her hand. If Martha does raise her hand, Ms. Bader agrees to call on her. Sometimes, for biological or other reasons, a child is unable to control his or her behavior without supports. If the INDIVIDUALIZED EDUCATION PROGRAM team believes the child needs medical services for diagnostic and evaluation purposes an appropriate referral can be made. • Evaluate the effectiveness of the solution (and decide where to go from there). • Practice social problem solving in real-life situations. A technique known as curricular integration is useful in teaching skills to children, as the technique integrates positive strategies for modifying problem behavior into the existing classroom curriculum, and is based upon the premise that a skill is more likely to be learned when taught in the context in which it is used. Educators who incorporate behavioral interventions into daily instruction generally state that this technique has proven to be particularly effective for teaching replacement behaviors. If the functional behavioral assessment reveals that the child knows the skills necessary to perform the behavior, but does not consistently use them, the intervention plan may include techniques, strategies, and supports designed to increase motivation to perform the skills. If the assessment reveals that the child is engaging in the problem behavior because it is more desirable (or reinforcing) than the alternative, appropriate behavior, the intervention plan could include techniques for making the appropriate behavior more desirable. For instance, if the child makes rude comments in class in order to make her peers laugh, the plan might include strategies for rewarding appropriate comments as well as teaching the child appropriate ways to gain peer attention. Behavioral contracts or token economies and other interventions that include peer and family support may be necessary in order to change the behavior. Sometimes a youngster does not perform the behavior simply because he or she sees no value in it. While the relevance of much of what we expect children to learn in school is apparent to most kids, sometimes (especially with older kids) it is not. For example, if Sheran wants to be a hairdresser when she graduates, she may not see any value in learning about the Battle of Waterloo. Therefore, the intervention plan may include strategies to increase her motivation, such as demonstrating to Sheran that she must pass History in order to graduate and be accepted into the beauty school program at the local community college. Another technique for working with children who lack intrinsic motivators is to provide extrinsic motivators. If the child cannot see any intrinsic value in performing the expected behaviors, it may be necessary to, at least initially, reinforce the behaviors with some type of extrinsic reward, such as food, activities, toys, tokens, or free time. Of course, extrinsic rewards should gradually be replaced with more "naturally occurring" rewards, such as good grades, approval from others, or the sheer pleasure that comes from success. This process of fading out, or gradually replacing extrinsic rewards with more natural or intrinsic rewards, may be facilitated by pairing the extrinsic reward with an intrinsic reward. For example, when rewarding David with popcorn for completing his homework, the paraprofessional could say, David, you have completed all of your homework this week, and your class participation has increased because you are better prepared. You must be very proud of yourself for the hard work you have done. In this way, David should eventually become intrinsically rewarded by a sense of pride in completing all of his assignments. • curricular or environmental modifications. In addition, the child may need to be provided with external rewards for appropriately dealing with anger. It is important for INDIVIDUALIZED EDUCATION PROGRAM teams to consider all positive interventions before they consider punishment as an option. Punishment often makes behavior worse. Further, punishment seeks to control the symptom of the problem and does not address the function of the behavior. In addition to factors of skill and motivation, the functional behavioral assessment may reveal conditions within the learning environment, itself, that may precipitate problem behavior. Factors that can serve as precursors to misbehavior range from the physical arrangement of the classroom or student seating assignment to academic tasks that are "too demanding" or "too boring." Again, simple curricular or environmental modifications may be enough to eliminate such problems. In addition, a variety of adults and students in and around the school and community may contribute support. An example of how one Local Education Agency helped a child use some of his energy in an appropriate manner involved allowing the child to work with the school custodian, contingent upon his completing his academic work each day. Care should be given to select a behavior that likely will be elicited by and reinforced in the natural environment, for example, using appropriate problem-solving skills on the playground will help the child stay out of the principal’s office. It is good practice for INDIVIDUALIZED EDUCATION PROGRAM teams to include two evaluation procedures in an intervention plan: one procedure designed to monitor the faithfulness with which the management plan is implemented, the other designed to measure changes in behavior. If a child already has a behavior intervention plan, the INDIVIDUALIZED EDUCATION PROGRAM team may elect to review the plan and modify it, or they may determine that more information is necessary and that a functional behavioral assessment is needed. • It is clear that the original behavior intervention plan is not bringing about positive changes in the child’s behavior. The point is to predicate all evaluation on student success. The practice of conducting functional behavioral assessments of behavior that interferes with positive child outcomes allows INDIVIDUALIZED EDUCATION PROGRAM teams to develop more effective and efficient behavior intervention plans. Emphasis should be on enlarging child capacity to profit from instruction, which can be accomplished by designing pupil-specific interventions that not only discourage inappropriate behaviors, but teach alternative behaviors, and provide the child with the opportunity and motivation to engage in that behavior. If done correctly, the net result of behavioral assessments is that school personnel are better able to provide an educational environment that addresses the learning needs of all children. • Alberto, P.A., & Troutman, A.C. (1995). Applied behavior analysis for teachers (4th ed.). Englewood Cliffs, NJ: Merrill/Prentice-Hall. • Bullock, L.M., & Gable, R.A. (Eds.) (1997). Making collaboration work for children, youth, families, schools, and communities. Reston, VA: Council for Children with Behavioral Disorders & Chesapeake Institute. • Carr, E. G., & Durand, V. M. (1985). Reducing behavior problems through functional communication training. Journal of Applied Behavior Analysis, 18, 111-126. • Carr, E. G., Robinson, S., & Polumbo, L. W. (1990). The wrong issue: Aversive versus nonaversive treatment. The right issue: Functional versus nonfunctional treatment. In A. Repp & N. Singh (Eds. ), Aversive and nonaversive treatment: The great debate in developmental disabilities (pp. 361-380). DeKalb, IL: Sycamore Press. • Cooper, L. J., Wacker, D. P., Thursby, D., Plagmann, L. A., Harding, J., Millard, T., & Derby, M. (1992). Analysis of the effects of task preferences, task demands, and adult attention on child behavior in outpatient and classroom settings. Journal of Applied Behavior Analysis, 25, 823-840. • Donnellan, A. M., Mirenda, P. L., Mesaros, R. A., & Fassbender, L. L. (1984). Analyzing the communicative functions of aberrant behavior. Journal of The Association of Persons with Severe Handicaps, 9, 201-212. • Dunlap, G., Kern, L., dePerczel, M., Clarke, S., Wilson, D., Childs, K.E., White, R., & Falk, G. D. (1993). Functional analysis of classroom variables for students with emotional and behavioral disorders. Behavioral Disorders, 18, 275-291. • Durand, V. M. (1990). Severe behavior problems: A functional communication training approach. New York: Guilford. • Durand, V. M. (1993). Functional assessment and functional analysis. In M. D. Smith (Ed.). Behavior modification for exceptional children and youth. Boston: Andover Medical Publishers. • Durand, V. M., & Crimmins, D. B. (1988). Identifying the variables maintaining self-injurious behavior. Journal of Autism and Developmental Disorders, 18, 99-117. • Fuchs, D., Fuchs, L., & Bahr, M. (1990). Mainstream assistant teams: A scientific basis for the art of consultation. Exceptional Children, 57, 128-139. • Gable, R. A. (1996). A critical analysis of functional assessment: Issues for researchers and practitioners. Behavioral Disorders, 22, 36-40. • Gable, R. A., Sugai, G. M., Lewis, T. J., Nelson, J. R., Cheney, D., Safran, S. P., & Safran, J. S. (1997). Individual and systemic approaches to collaboration and consultation. Reston, VA: Council for Children with Behavioral Disorders. • Gresham, F.M. (1991). Whatever happened to functional analysis in behavioral consultation? Journal of Educational and Psychological Consultation, 2, 387-392. • Haynes, S. N., & O"Brien, W. H. (1990) Functional analysis in behavior therapy. Clinical Psychology Review, 10, 649-668. • Hendrickson, J. M., Gable, R. A., Novak, C., & Peck, S. (1996). Functional assessment for teaching academics. Education and Treatment of Children, 19, 257-271. • Horner, R. H., & Day, H. M. (1991). The effects of response efficiency on functionally equivalent competing behaviors. Journal of Applied Behavior Analysis, 24, 719-732. • Horner, R. H., Sprague, J. R., O"Brien, M., & Heathfield, L. T. (1990). The role of response efficiency in the reduction of problem behaviors through functional equivalence training. Journal of the Association for Persons with Severe Handicaps, 15, 91-97. • Iwata, B. A., Vollmer, T. R., & Zarcone, J. R. (1990). The experimental (functional) analysis of behavior disorders: Methodology, applications, and limitations. In A. C. Repp & N. Singh (Eds. ), Aversive and nonaversive treatment: The great debate in developmental disabilities (pp. 301-330). DeKalb, IL: Sycamore Press. • Kaplan, J.S. (with Carter, J.) (1995). Beyond behavior modification: A cognitive-behavioral approach to behavior management in the school (3rd edition). Austin, TX: Pro-Ed. • Kerr, M.M., & Nelson, C.M. (1998). Strategies for managing behavior problems in the classroom (3rd edition). New York: MacMillan. • Lawry, J. R., Storey, K., & Danko, C. D. (1993). Analyzing behavior problems in the classroom: A case study of functional analysis. Intervention in the School and Clinic, 29, 96-100. • Lewis, T. J. (1997). Teaching students with behavioral difficulties. Reston, VA: Council for Exceptional Children. • Lewis, T. J., & Sugai, G. M. (1994). Functional assessment of problem behavior: A pilot investigation of the comparative and interactive effects of teacher and peer social attention on students in general education settings. School Psychology Quarterly, 11, 1-19. • Lewis, T. J., Scott, T. M., & Sugai, G. M. (1994). The problem behavior questionnaire: A teacher-based instrument to develop functional hypotheses of problem behavior in general education classrooms. Diagnostique, 19, 103-115. • Long, N., & Morse, W.C. (1996). Conflict in the classroom. Austin, TX: Pro-Ed. • Lovaas, O. I., Freitag, G., Gold, V. J., & Kassorla, I. C. (1965). Experimental studies in childhood schizophrenia: Analysis of self-destructive behavior. Journal of Experimental Child Psychology, 2, 67-84. • Mathur, S. R., Quinn, M .M., & Rutherford, R.B. (1996). Teacher-mediated behavior management strategies for children with emotional/behavioral disorders. Reston, VA: Council for Children with Behavioral Disorders. • Pierce, W. D., & Epling, W. F. (1980). What happened to the analysis in applied behavior analysis? The Behavior Analyst, 3, 1-10. • Reed, H., Thomas, E., Sprague, J. R., & Horner, R. H. (1997). Student guided functional assessment interview: An analysis of student and teacher agreement. Journal of Behavioral Education, 7, 33-49. • Rutherford, R.B., Quinn, M.M., & Mathur, S.R. (1996). Effective strategies for teaching appropriate behaviors to children with emotional/behavioral disorders. Reston, VA: Council for Children with Behavioral Disorders. • Sasso, G. M., Reimers, T. M., Cooper, L. J., Wacker, D., & Berg, W. (1992). Use of descriptive and experimental analyses to identify the functional properties of aberrant behavior in school settings. Journal of Applied Behavior Analysis, 25, 809-821. • Schmid, R. E., & Evans, W. H. (1997). Curriculum and instruction practices for students with emotional/behavioral disorders. Reston, VA: Council for Children with Behavioral Disorders. • Sugai, G. M., & Lewis, T. J. (1996). Preferred and promising practices for social skill instruction. Focus on Exceptional Children, 29, 1-16. • Sugai, G. M., & Tindal, G. A. (1993). Effective school consultation: An interactive approach. Pacific Grove, CA: Brooks/Cole. • Sugai, G. M., Bullis, M., & Cumblad, C. (1997). Skill development and support of educational personnel. Journal of Emotional and Behavioral Disorders, 5, 55-64. • Touchette, P. E., MacDonald, R. F., & Langer, S. N. (1985). A scatter plot for identifying stimulus control of problem behavior. Journal of Applied Behavior Analysis, 18, 343-351. • Walker, H. M., Colvin, G., & Ramsey, E. (1995). Antisocial behavior in school: Strategies and best practices. Pacific Grove, CA: Brooks/Cole. • Wood, F. M. (1994). May I ask you why you are hitting yourself? Using oral self-reports in the functional assessment of adolescents’ behavior disorders. Preventing School Failure, 38, 16-20.